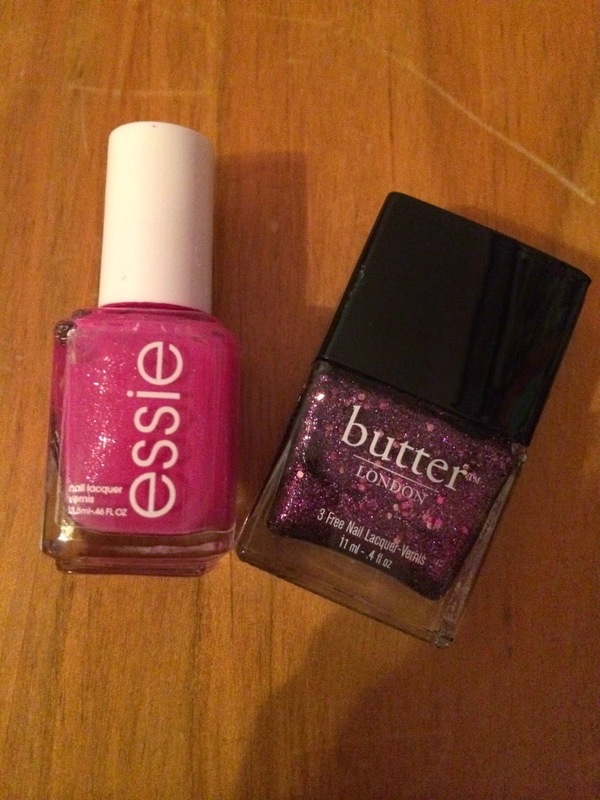 Here is my recent manicure colors. 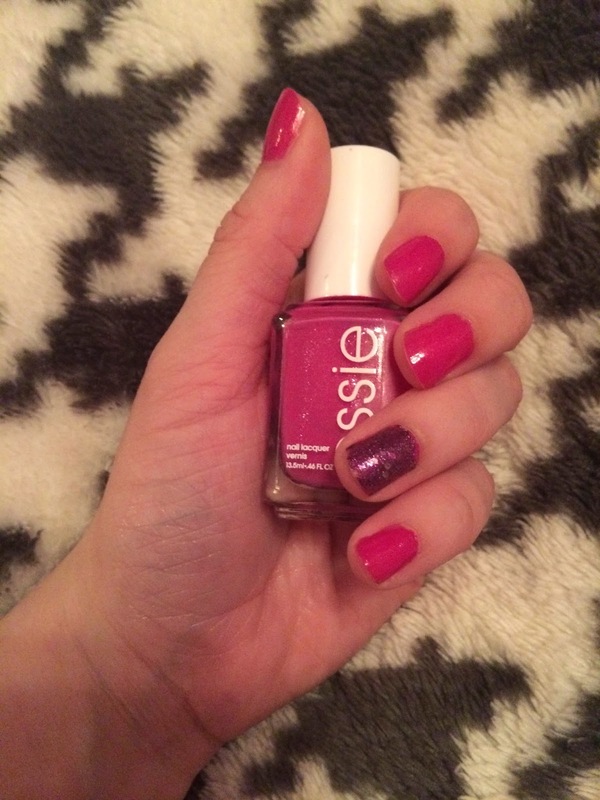 It features a bright magenta pink shade from Essie called the Girls Are Out. The pink has a slight silver sheen to it because it has some silver sparkles in it. For an accent nail I used Butter London's Shambolic. Together they create a fun and bright nail look!